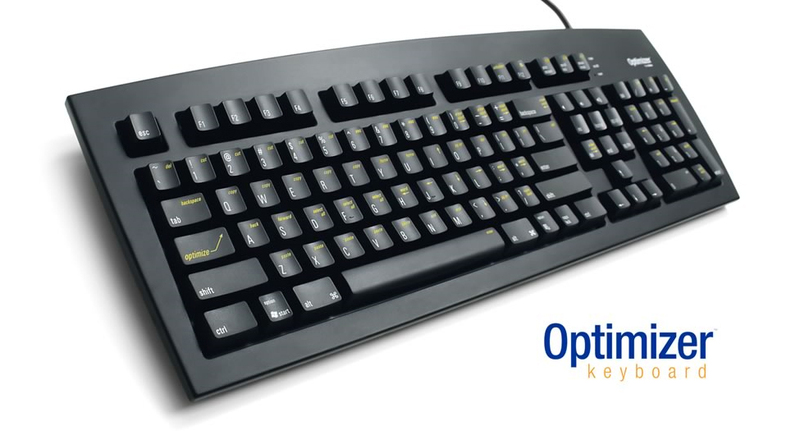 The Optimizer Keyboard is designed for Accountants, Writers and Engineers, enabling them to get their work done faster. 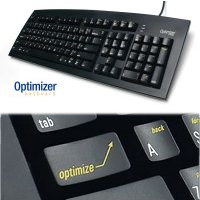 Other keyboards force you to to move your hands and arms to reach the commands you use all day, every day.The Optimizer puts those commands much closer - at or near where your hands already are - so no time is wasted moving them. Much more efficient, much faster. You will feel the difference immediately. You will get your work done faster, leaving you with more time to do the things that you really enjoy - or, if you continue to work the same amount of time that you do now, you will see your productivity soar. Allows you to use spreadsheets faster:: Hold down the Optimize key and the Number Pad becomes an Arrow Pad. Combine with Shift to select multiple cells in Excel. Other Number Pad features include: Backspace, Delete, Equal (=), Esc, Page Up, and Page Down. A dedicated TAB key on the Number Pad lets you speed through forms and spreadsheets, and leaves your other hand free to flip through the data (receipts, documents, etc.) being entered. Allows you to cut, copy, and paste faster: Hold down Optimize and you have entire rows of Cut, Copy, and Paste keys, so you'll never miss. Allows you to edit text faster: Hold down Optimize and the keys under your right hand become arrow keys. Combine with Shift to select individual characters, words, even entire lines. High-Quality Dome Switches: The Optimizer uses high-quality rubber dome key switches. This gives the keys a quiet tactile feel, yet offers enough resistance to hold the weight of your hands, which reduces long-term fatigue. 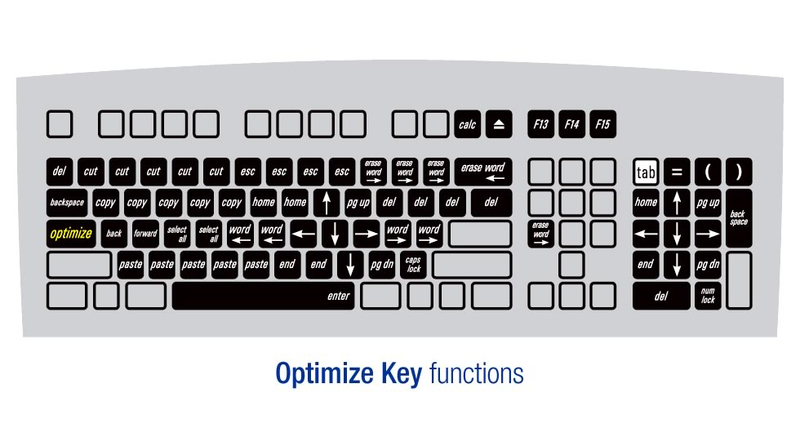 No Drivers Required: All of the Optimizer's special functions are built right into the keyboard, making it simple to get started. There is no special software to install, no nasty software conflicts to contend with; simply plug in the keyboard. Mac: Mac OS X 10.2 or higher. The Optimizer comes preprogrammed for Windows. To reprogram it for Mac, please follow these instructions.